I think I’m losing my mind. The blowers to dry out the ceiling and floor were supposed to be turned off this morning, but guess what? They will be on until Monday. 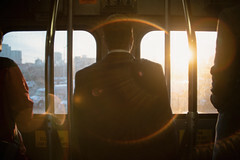 The title of my blog tonight is an effort to explain what we are living with. Dan described it best. You know when you’re in an airplane and there is that constant droning noise from the engines? That’s it, now multiply it by a thousand. Non-stop noise, twenty-four hours a day since Thursday morning. Our cats are completely freaked out and skittish, I have had a headache, and Dan doesn’t want to be in the house. We managed to spend a good part of today out of here, but we’ve been home for a couple of hours and I am nearing the edge. I am rushing to type this post so that we can go upstairs and shut the door, and pretend we are flying to Paris. Yesterday I had some inspiration. 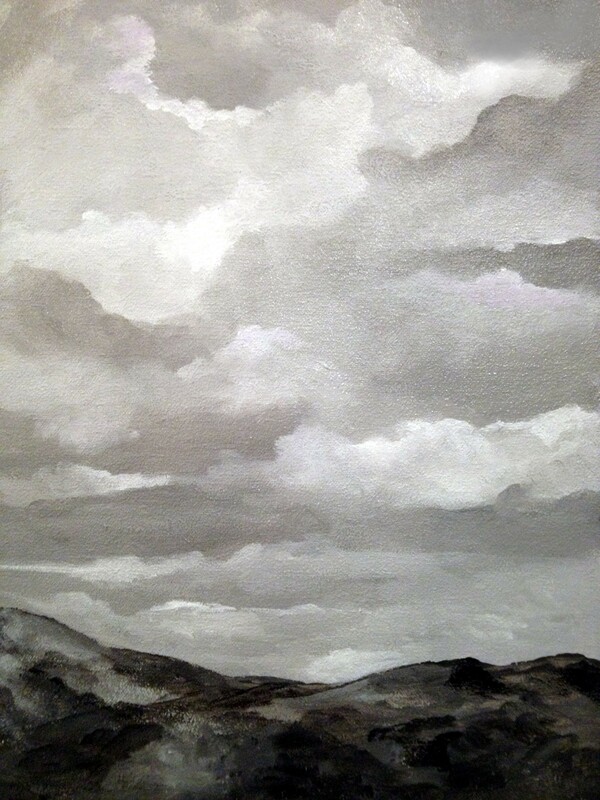 I was looking at a beautiful cloudy sky and thought I’d like to paint it, but not in color, in shades of gray. I chose acrylics as my medium. I looked through the multitude of cloud photos I have, but instead of settling on one in particular I just let the brush and paint flow. I went back and added some highlights in a few of the white spaces. I really like the painting, although I wouldn’t mind a little more texture. I am particularly happy with the hills. The area around here in Temecula is full of granite, and I think I really captured the way they look. I’ve done a few watercolor figures in shades of gray and I’d like to explore it a little more but with oils. It’s a wonder I could paint at all with the noise. I long for Monday, and silence. This entry was posted in Acrylic painting, art, Art and my life, Fine Art, Humor, Painting, Uncategorized, Words, Writing and tagged Acrylic painting, art, Family, Fine art, humor, painting, projects, Struggle, thoughts, writing. Bookmark the permalink.